OMRF is seeking volunteers who are concerned about developing rheumatoid arthritis to participate in StopRA, a prevention study for the disease. Rheumatoid arthritis is a chronic illness mainly characterized by inflammation of the lining of the joints. The symptoms include pain, swelling and stiffness in the joints and ultimately the disease can result in loss of function and disability. 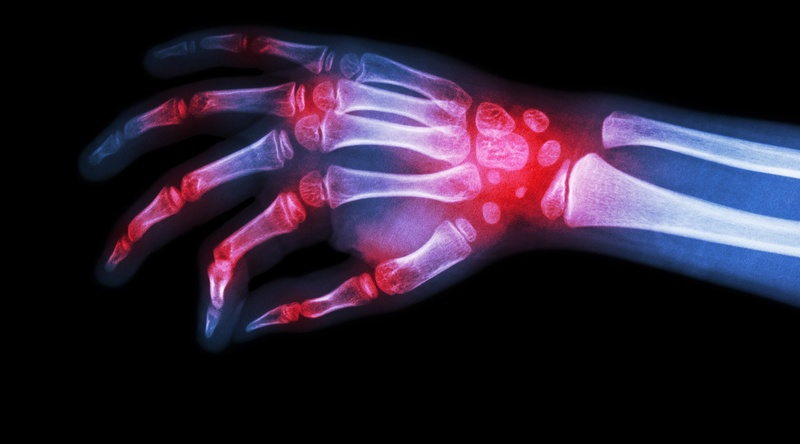 More than 1.3 million adults in the U.S. have rheumatoid arthritis, according to the American College of Rheumatology. Autoantibodies are proteins that the body mistakenly unleashes against its own tissue, resulting in inflammation and swelling, key components of RA. “One of our goals is to identify these blood factors that seem to lead to development of RA,” James said. Volunteers should be at least 18 years of age and healthy with no prior RA diagnosis. They also must be willing to have free blood testing completed at OMRF to screen for elevated levels of anti-CCP. If you are interested in participating or would like more information about the study, please call (405) 271-7221.